While there’s no “one size fits all” solution for challenging behaviors, there’s one tried and true approach that’s proven to be helpful — boosting children’s social emotional competence. 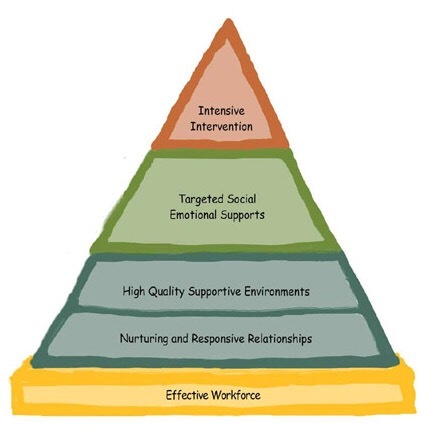 The Pyramid Model is an evidence-based model focused on strong relationships and social-emotional development — and the NYS Pyramid Model Partnership is committed to helping you access, understand, and apply the pyramid-related supports! ← Struggling with Power Struggles?